Update 10/1/16: As reader Ben points out in the comments below, United is also flying a 777-200 (same configuration) between Boston and San Francisco. This flight appears to operate daily from October 9 through January 3, 2017. American and Delta both operate wide-body planes on short and medium-haul flights within the US, but United definitely offers the greatest variety, from the 747 that operated a daily Chicago-San Francisco turn to a 787-9 Dreamliner between LAX and Newark. 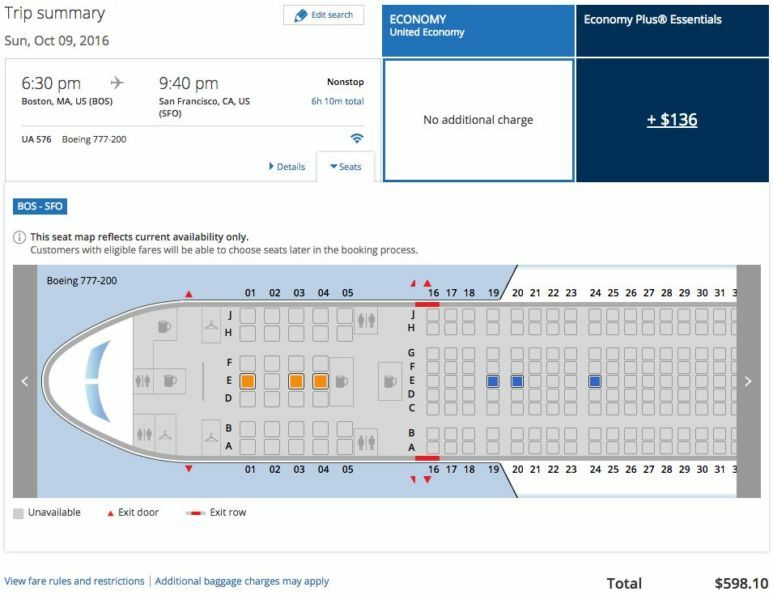 Now, there’s another interesting new wide-body route you can book — on the 777 typically used for flights to Hawaii. United’s 2-3-2 first class. Image courtesy of Mommy Points. 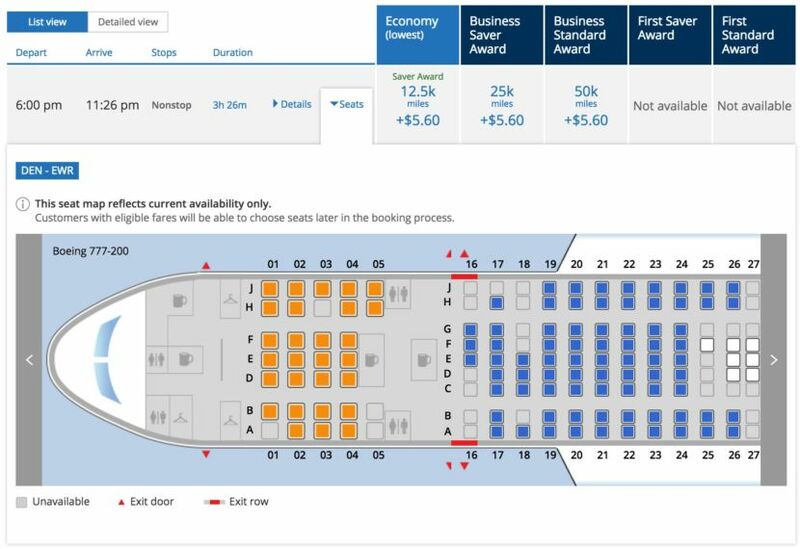 This particular configuration has first-class recliner seats arranged in a 2-3-2 configuration, with an unusual 2-5-2 layout in economy — ideal for couples, if you can snag a pair of seats. 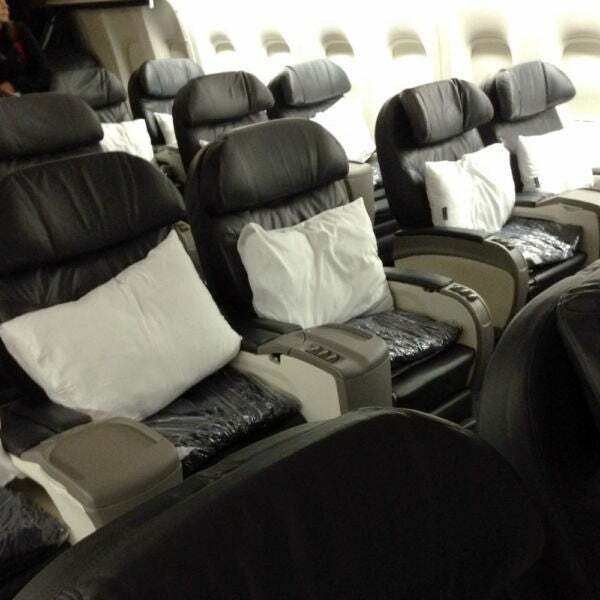 Also of note is United’s new 777 service from Newark to San Juan, Puerto Rico, with the same seating configuration. 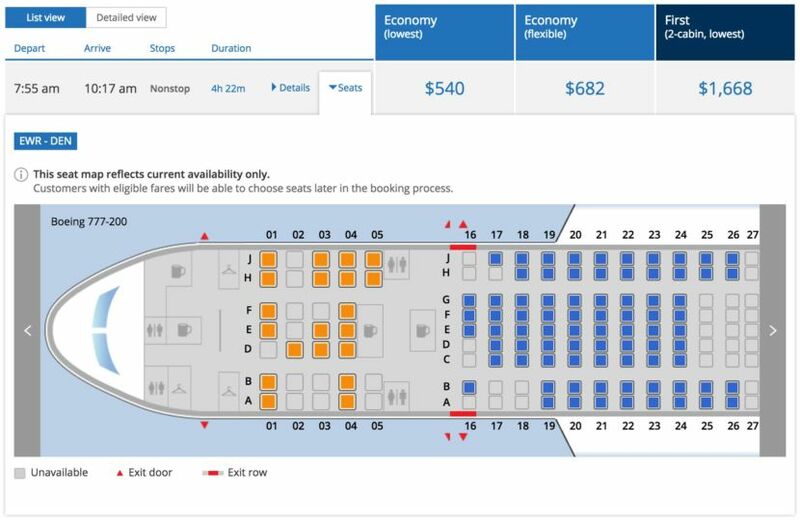 This 777-200 flight isn’t available every day, but it could end up being one of the least expensive domestic wide-body flights you can book, considering how inexpensive flights to Puerto Rico can be. Ultimately, this isn’t a 777 you’ll necessarily want to fly on, but you might find it more appealing than some of the 737s or Airbus planes United normally operates on these routes. These 777s do not offer seat-back entertainment in either cabin, but free streaming entertainment should be available, and satellite Wi-Fi is available to purchase, even on flights to and from San Juan. Do you prefer to fly wide-body planes on domestic routes?